I’ve found that my writing really gets into a groove when I have a perfect soundtrack to complement it. When I’m working on a particularly intense scene, be it a fight, a romantic development, or something insanely emotional, I gotta have the right song playing to put me in the state of mind to get it done. 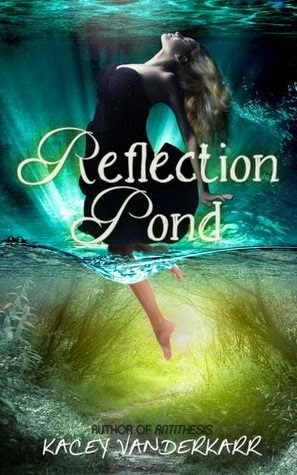 Since Reflection Pond went through multiple rewrites to get to the final published version, I actually have multiple playlists on several devices for this book. (Can you say obsession?) Since I’m only spotlighting these fifteen songs, I’m including the entire list, in all its glory, at the end. “The story of my life I can't quite comprehend. Don't tell me if you know how it ends. Kacey Vanderkarr is a young adult author. She dabbles in fantasy, romance, and sci-fi, complete with faeries, alternate realities, and the occasional plasma gun. She’s known to be annoyingly optimistic and listen to music at the highest decibel. When she’s not writing, she coaches winterguard and works as a sonographer. Kacey lives in Michigan, with her husband, son, crazy cats, and two bearded dragons.